Guinot have a lovely tinted anti-ageing and anti spot sun cream for the face with a factor 15 which is great for the lady who doesn’t like to go out in the sun without make up on her face. It is very hard to find as few Beauty Salons and Spas stock it. Urban Retreat in Harrods have it and you can buy it on-line. 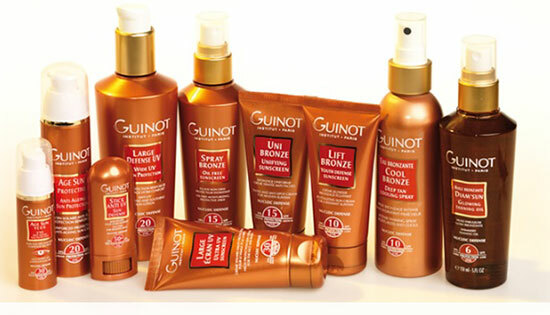 Guinot have the largest range of sun care that I have seen around at the moment. M&S do an anti-aging cream for £20.00 but I think that is expensive when you look at the beauty houses. For £10.00 more you can get a Spa product. I prefer companies that specialise in one area. Nivea make one too but I don’t know what is like. 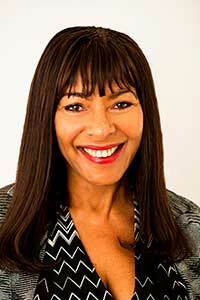 Garnier’s range is good and Soltan from Boots is good for the younger skins but they are not anti-ageing. Thalgo and Decleor are my favourites and Estee Lauder’s sun creams are pretty good. Carita is fabulous but very expensive. I think they have been taken over by L’Oreal so I don’t know how this has affected the product. Clarins and Dermalogica make them but I am not a great fan of these. Chanel, Dior and other large brands have good ranges but I favour Spa skincare. I feel that the others all deliver really good make up. For the face Thalgo make a Sun Repair Mask that is fantastic. You apply it anytime and leave it for ten minutes and then wipe away any surplus. Leave the rest on. Your skin will radiate. The best After Sun cream I have ever found is Soltan by Boots the Chemist. You can buy the cream or the gel or the mosquito repellent one. Be careful with the mosquito one as it can smudge your nail polish. I don’t know what is in the repellent but it must have a solvent in it for that to happen. Gel nail polish doesn’t apply here. I like Garnier After Sun as well but I feel that it is too similar to the cheaper Soltan so I buy the least expensive. Also if you are over 60 and you have a Boots loyalty card you get a further 10% of Boots purchases. If you like luxury After Sun products then there are so many to choose from that I leave it to you but I can’t see the point and I have tried nearly all of them.